Need help on your college applications? Learn how our College Apps Program can help. Wake Forest University is a medium-sized private school in Winston-Salem, North Carolina. As a selective university that accepts roughly a third of all applicants, it goes without saying that Wake Forest hopefuls will need to put their best foot forward through their applications. With a reputation for high-quality teaching and an impressive 60% of students participating in study abroad opportunities, Wake Forest clearly prioritizes undergraduate education. Wake Forest’s application process is unusual among high-ranked schools: standardized test scores are strictly optional. To compensate, applicants need to answer a whopping nine essay prompts. If you’re planning not to submit test scores to Wake Forest, keep in mind that your supplement responses will be critical to your application. Looking for the 2017-2018 Essay Guides? Sign up below and we’ll let you know when our Essay Breakdowns for the 2017-2018 cycle are out. We’ll have how-to guides for the top 100 schools, and possibly more! List five books you have read (with authors) that piqued your curiosity. Treat this question as a first glimpse into your personality and interests; there’s no room to explain your choices for this prompt, so don’t stress too much about which books you list. Keep the word “curiosity” in mind while brainstorming, and don’t be afraid to include simple or introductory books. There’s nothing wrong with choosing books that you were required to read as part of a class — that said, to demonstrate independent thought, roughly half your responses should be books you read on your own. If the rest of your application has a distinct theme, such as entrepreneurship or biomedical science, try to list one or two books relating to that theme. The rest of your choices should showcase your other interests, whether academic or purely recreational. As always, avoid inappropriate or extremely controversial subjects. The first thing to notice about this prompt is that you aren’t restricted to novels — short stories, poetry, and fictional news articles are all fair game. If you do choose to focus on a book, it’s completely fine to reuse one of your responses to the first prompt; in fact, if you use “inspiration” or “curiosity” as reasons for your choice, you should definitely include the book in your earlier list to keep your application consistent. Your choice of fiction matters less than the reasons you give for making it required reading. Imagine how your school or community would change if everyone read this same work, and use that to guide your essay. Try to include a personal component in your response; simply listing facts and statistics might seem persuasive, but admissions officers are trying to understand what makes you unique. For example, you could write about how Ella Enchanted taught you that willpower can be as important as intelligence or skill, a lesson that could help many students persevere in difficult situations during and after school. This response showcases a valuable trait while also identifying a way all students could benefit from the book. You might be familiar with the phrases, “talk is cheap” and “put your money where your mouth is.” This prompt is a great chance to highlight a time you took action instead of just complaining. You can either focus on a single action (such as standing up for a classmate who was being bullied), or on a comprehensive set of activities (such as organizing an annual food drive and volunteering at a soup kitchen). When choosing a topic, try to avoid particularly trivial or juvenile issues; the object of your outrage is just as much a reflection of your personality as the way you choose to address it. Remember, Wake Forest wants students who will make a difference in the world, and who take action to address important issues in the world. Demonstrating your ability to do so will take you much farther than recounting a petty argument with a friend. This is another “curiosity” question, and again, it’s fine to discuss a simple assignment that led you to delve more deeply into a topic. For example, if a homework assignment asked you to briefly describe an American invention, choosing bifocals might have inspired you to learn more about optics. You should look into Wake Forest’s active areas of research before crafting your response — choosing a subject that you could actually pursue at Wake Forest will definitely score you some brownie points. Try to describe a concrete way you could explore the topic further in college, such as through a specific research specialty or course sequence. It’s important to make sure that the academic curiosity you describe is reflected elsewhere in your application, or else you’ll risk coming across as insincere. Although you don’t have much room for this response, the prompt is actually a two-part question. First, you’ll need to describe the person and the context in which you interacted with them; then, you can explain what you learned. Try to choose a person you never could have met 50 years ago, either due to geographic, language, or cultural barriers. Be careful not to stereotype or to caricaturize the person you discuss. As you describe what you’ve learned, avoid overgeneralizing. Also, make sure your response doesn’t make you sound close-minded or ignorant. This is a tricky prompt, and it’s a good idea to have a few people read it over and give feedback. Give us your top ten list. First, please provide a theme. This is another light question designed to let your personality shine. It’s hard to give a wrong answer to this prompt — just make sure your list matches your stated theme, and avoid anything inappropriate or controversial. You don’t have much space, so stick to words or short phrases, not entire sentences. For this prompt, you should probably read up on “Hamilton” to get a sense of how Alexander Hamilton’s biography was modified for the stage. Then, think about your history and social studies classes and see if any minor historical figures pop out as the perfect subject for a musical. If you’re drawing a blank, try to instead start with a historical event you find interesting and read up on the various people involved. If your passion lies in math or science, consider writing about the person who discovered your favorite theorem or concept. As with the other prompts, avoid extremely controversial topics. Also, perform enough research on your candidate to be sure the story doesn’t have any especially unpleasant aspects and hasn’t already been popularized. Once you’ve made your choice, you simply need to explain your reasoning in one or two paragraphs. How was this person influential? Why do you think people should be made aware of their contributions? Imagine it is May 2021, your ideal Wake Forest University commencement speaker is ______________________. No room to elaborate; pick someone well-known enough that your answer makes sense without additional context. Also, stick to living, English-speaking people. Beyond that, the world is your oyster. Another very short prompt with a lot of room for creativity. If there’s an overarching theme to the rest of your application, write a title that builds on that theme. You can choose to either submit a title that applies to your life so far, or a title that you hope will apply to your life 50 years from now. Wake Forest is a great school, and its long Common App supplement is worth the effort. If you want additional guidance crafting the perfect set of responses, CollegeVine’s admissions specialists are available to help. 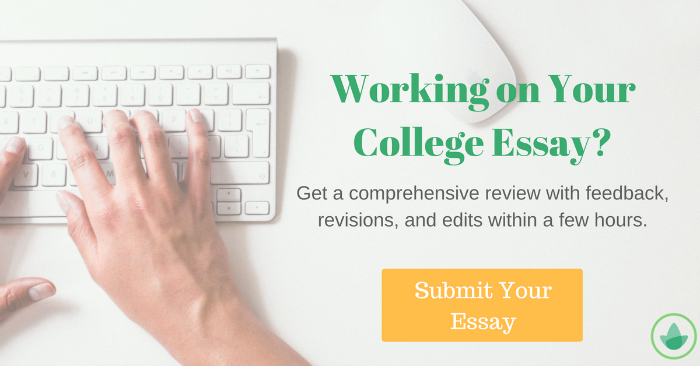 If you just need a second set of eyes before you hit the ‘submit,’ consider our Essay Editing Program.